Seldom is controversy far from the world of cricket, whether that is a fresh incident or the lingering aftermath of past events. This last week has seen two notable events, the start of the Indian Premier League (IPL) and the first anniversary of the infamous ball tampering incident in Cape Town that has overshadowed all of Australian cricket and much of world cricket for the last year. On 24 March 2018, Cameron Bancroft, at the suggestion of Australian vice-captain David Warner, took to the Newlands field with a small piece of sandpaper. He had the simple intention of altering the state of the match ball. The Australian bowlers had made no inroads into a strong South African batting line-up which was taking the Test away from the visitors. Australia had to make something happen and they decided their tactic to gain the advantage they desperately needed would be to artificially enable the ball to reverse swing. No one could predict the cascade of events that followed this indiscretion being captured on television. Captain Steve Smith and Warner were banned for a year with Bancroft handed a lesser suspension of nine months. The game, its values and the moral code and sportsmanship of all Australian cricketers was brought into question. Before the year was out, coach Darren Lehmann, although not implicated in the events, resigned and the Chairman and Chief Executive of Cricket Australia both left their roles. Mark Taylor, a widely respected former captain and long-time board member also resigned and high performance manager Pat Howard left his role. A “cultural” review into the Australian national team found a “win at all costs” mentality existed in the squad with the Aussie mantra of playing hard but fair replaced by a concerted effort to challenge the spirit of the game in the pursuit of on-field success. Cricket Australia and the team have worked hard to repair their reputation in cricketing circles and with supporters and the public. The three players have done likewise and this rehabilitation seems almost complete as they are now being “reintegrated” into the national team with the logical expectation of being available for selection again soon. Warner and Smith have been travelling the world playing T20 cricket in preparation for a return at this summer’s world cup, while Bancroft has performed exceptionally well in domestic cricket and is about to captain Durham. They have served their punishments but cannot re-write history. Their careers have been blighted and the events of last March will follow them forever. The whole episode highlighted the high stakes nature of the elite game. The need to do everything possible to win matches in professional sport and the high risk and reward nature of the short lived careers of professional sportsmen. It was no different to the rugby “bloodgate” fake injury incident that cost Harlequins coach Dean Richards three years of his career. Other examples include diving and feigning injury in football, the scandal over the New England Patriots deflating balls to give quarterback Tom Brady a better grip in American football, betting scams and doping in many sports. All are about team or personal gain by challenging the rules and norms. What places cricket at the head of this queue of ignominy is the values the game holds dear. The tradition of fair play and sportsmanship and the high standards expected of participants in upholding the spirit of the game. It is “just not cricket” if these lines are crossed but, in the modern world, these lines are blurred at best and non-existent at worst. But traditions exist and, when they are not respected, uproar ensues. In just the fourth game of this year’s IPL, an incident illustrated this issue of players bending the rules and traditions of the game to their fullest. India’s Ravi Ashwin, one of the world’s leading spin bowlers and an icon in the largest cricket-playing country, ran out Jos Buttler while the batsman was backing up. This is known as a “Mankad” after Vinoo Mankad who first executed this form of dismissal in a 1947 Test against Australia. It was, in my opinion, one of the poorest examples of sportsmanship and leadership on a cricket field in a long time. In front of a full house and millions of others around the world, many of whom hold Ashwin in the highest esteem, the captain of The Kings XI Punjab placed winning above the spirit of the game. Buttler was in imperious form, so Ashwin resorted to luring him out of his crease by pretending to bowl, stopping and running him out. There was no warning, no intention to release the ball and Buttler was not seeking an advantage. He would not have been out of his crease had Ashwin delivered the ball. The incident was of such significance it warranted a statement of clarification by the Marylebone Cricket Club, custodians of the laws of the game. 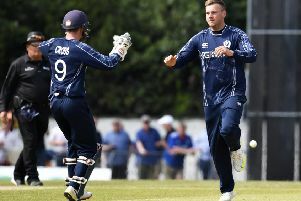 The law is open to interpretation and centres on how “the instant when the bowler would normally have been expected to release the ball” is interpreted. The umpire ruled in the bowler’s favour but could easily have not. Although not against the letter of the laws of the game it was at best an ill-judged and misconceived tactic by Ashwin, and at worst premeditated deceit.Only Ashwin knows for sure. Ashwin was under intense pressure as captain of his franchise and one of India’s most famous players, who earns huge sums of money. He is trying to re-establish himself in India’s white ball teams and is expected to deliver results. He was faced with arguably the world’s most devastating one-day player, who seemed set to lead his team to victory. As it transpired, the wicket of Buttler initiated a collapse and subsequent victory against the odds for Ashwin and his team. It can be argued that, in professional sport, you do what you have to do to win. Or, you play the game hard, fair and within the rules and hope talent sees you to victory. class players making decisions they will regret in pursuit of success. Supporters forget the results of games in time. They do not easily forget those who tarnish their careers with such moments of madness. l Roddy Smith was chief executive of Cricket Scotland from 2004 to 2014.